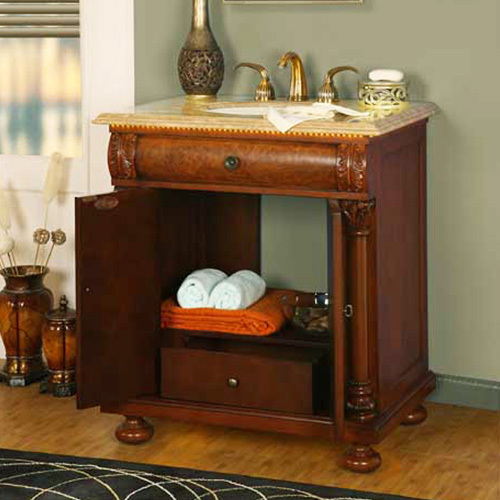 The Floresta Single Vanity features unique LED lighting with a beautiful Roman Vein-Cut Travertine counter top. LED lights are located underneath the counter top. This produces a tranquil glow that is achieved without using harsh lighting. An ivory ceramic under mount sink is also included. 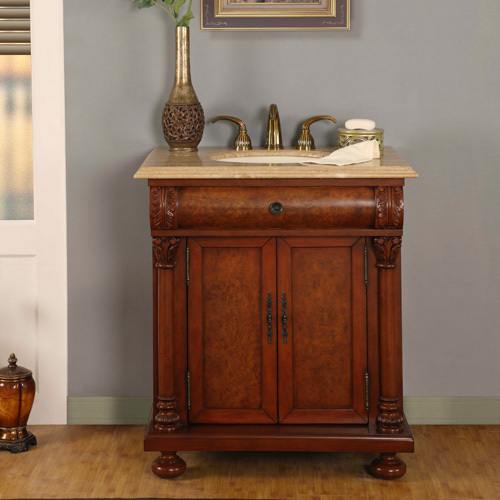 The finish is hand painted, and the regal side columns are hand carved. 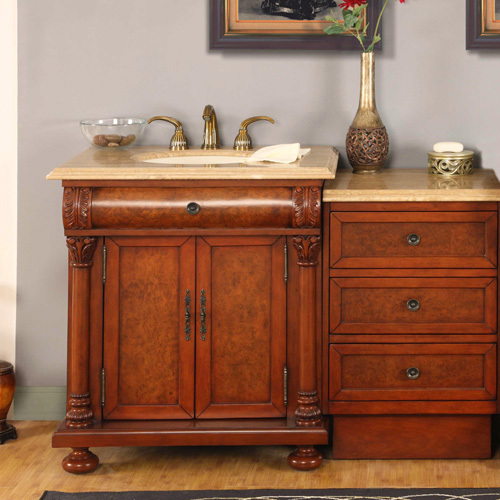 The vanity also features a single drawer and a double door cabinet. An optional drawer bank is available which adds an additional three drawers. 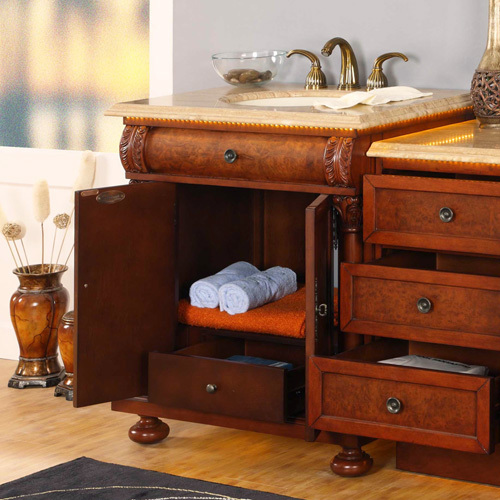 The matching drawer bank features the same finish, counter top, and lighting as the main vanity. Faucets are sold separately.